The Buffalo Valley Rail Trail is a 9.5 mile long finished scenic trail that spans between Lewisburg and Mifflinburg with trailheads, facilities, and parking areas. Thousands of visitors and residents walk, run, and bicycle the Rail Trail since the trail opened in 2011. 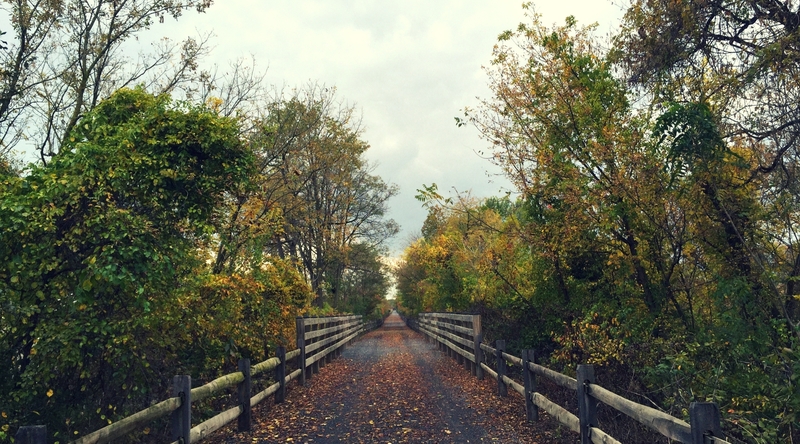 The Buffalo Valley Rail Trail is a protected spine of asphalt and gravel stretching between Lewisburg and Mifflinburg, PA. It is available to serve all ages and abilities, whether for recreation or transportation. 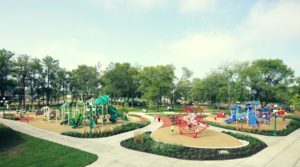 The trail provides a safe environment for children to play, dogs to explore, and adults to unwind. Join us on the trail to connect, revitalize, and get a breath of fresh air! The Buffalo Valley Rail Trail follows the route of a railroad that once ran from Montandon to Bellefonte in Centre County, crossing through Union County on an east-west alignment. The Lewisburg Centre & Spruce Creek Railroad was incorporated in 1853, and immediately faced the difficulties of the Civil War and the St. Patrick's day flood of 1865. In 1879, the branch was renamed the Lewisburg & Tyrone Railroad Co., and for another hundred years it was a key part of the valley's transportation network. The rise of interstate highway system led to a reduction in rail traffic. In 1982, the line ceased operations. By the late 1990's, the rails-to-trails movement was gathering steam in other parts of the country. In 2009, after several years of planning and feasibility studies, BVRA acquired the right of way for the West Shore Railroad stretching from Northumberland County to Mifflinburg. Phase I, including nine miles of finished trail, trailheads, facilities, and parking areas, was completed in the fall of 2011. Since then, thousands of residents and visitors have walked, run, or biked the 9.5 miles of scenic trail. In October of 2015, work was completed on Phase II, extending the trail into the heart of historic Lewisburg. 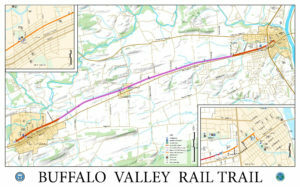 The Buffalo Valley Rail Trail is the result of investment by BVRA, Union County, the Pennsylvania Department of Conservation and Natural Resources, and the Pennsylvania Department of Transportation. The next phase of the Rail Trail will include examining the feasibility of restoring the existing railroad bridge in Lewisburg as a pedestrian walkway. BVRA will also explore the possibility of extending the trail for pedestrian use. Maintaining the trail costs an average of $20,000 a year. These funds are raised wholly through the generosity of community members such as yourself. 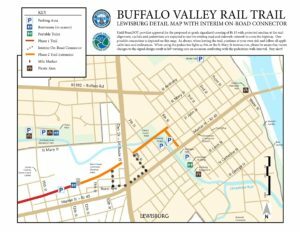 This year the Buffalo Valley Recreation Authority is developing a formal “Friends of the Buffalo Valley Rail Trail” program. Everyone who purchases a membership will receive a Tax Donation letter and commemorative window cling. Premier membership purchasers will be sent an additional BVRT promotional item. Please consider joining us on this landmark venture and show the trail some love! Please contact BVRA at (570) 524-4774 to donate to the BUFFALO VALLEY RAIL TRAIL.